Where does rainwater go? What happens to precipitation and runoff on NYC streets? 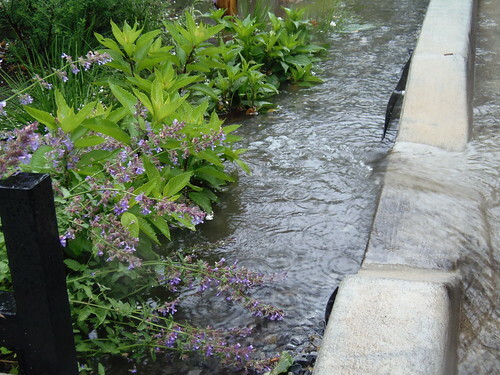 How can we help understand and manage stormwater runoff? Learn about unique engineered techniques for managing stormwater runoff called Green Infrastructure and how “greening” our city with these sustainable practices has many significant benefits including protecting New York City’s sewer system and harbor water quality. Interactive, multi-disciplinary, STEM lessons and activities, introduce students and educators to New York City’s hidden infrastructure and innovative green infrastructure techniques that help transport and manage our wastewater and stormwater. Soil Infiltration: What is a Bioswale?